Happy Friday! Woo hoo! Apparently the snow is gonna come through here in blazing glory...six to twelve inches!! What?!! I know, that's crazy! Well, like I said the other day, I have got some serious spring fever! 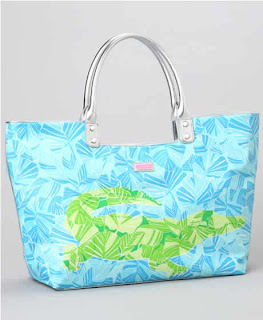 And in honor of said spring fever I have been scoping out my favorite new Lilly items! I mean, Lilly gives me spring fever year-round but these are making me especially giddy. Not only are they spring-ish, but some of them are one-shoulder!! I am obsessed with the one-shoulder, by the way! Love, love, love these!! Are there any spring lines that you are in love with?? What do you think about the new Lilly? You can see the whole collection here and here. Don't forget to go enter Summer and Kristen's giveaways!! Have a wonderful Friday night, everyone! Soo cute i love it. such pretty colors! I am loving the Kaye dress! If only my "girls" would cooperate, maybe I could pull off a one shoulder dress...no such luck though! I am so obsessed with all the spring Lilly! Can't wait to start wearing it! Okay, so I must admit, I am not a Lilly fan! I do like her dresses on kiddos & I love her recipe book! But, thanks to this entry, I may be making my very first Lilly purchase! 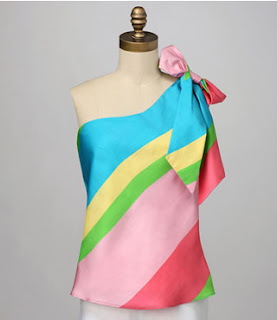 I LOOOVE that one shoulder-striped-bow top! How precious! I am already deciding what bottoms I would wear with it!! Love the blog! Stay warm w/ all the snow!! I love all of it! and all i know is i need to lose at least ten pounds to look good in ANY of it. Sigh. WHy does tat feel so hard. I am loving all those pieces you featured. My mom sent me an email this weekend about Lilly - she's now making bedding!